What is the age limit and qualification required? There is no age bar for learning chip level tainings and candidate should have basic computer hardware knowledge. And basic education upto 8th passed required. Is there’s any backup and job assurance for students? We provide one year online web support. The student can clear doubts via email or using our forum.we also give job reference and market details. Is there any certificate given? 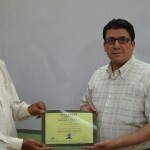 Yes, we provide students with a certificate from our institute which is ISO & ICO certified. How can we get the tools? We provide students with a basic toolkit at the time of joining, you can use available tools from lab. How we conduct online course? In today’s fast-paced world, many of us find it difficult to take time away from work and family to attend classroom training. One of the primary advantage of our online training is that you can attend class in the “comfort and convenience” of your own home and office. All you have to do is log into your online classroom when you are ready to download the lesson or communicate on the classroom message board. Only difference is that in online class understanding capacity is less then offline classes. Local Indian students can pay through bank, online transfer, and deposit to our account, send demand draft or cash. Students from abroad can pay through paypal, bank transfer or can pay via western union. How can I collect my certificate? Online students can collect their e-certificate from email, we will send email for same.